Home / F-22 / F35 / USAF / ARE F-22 AND F-35 FIGHTERS COMING TO UK? ARE F-22 AND F-35 FIGHTERS COMING TO UK? 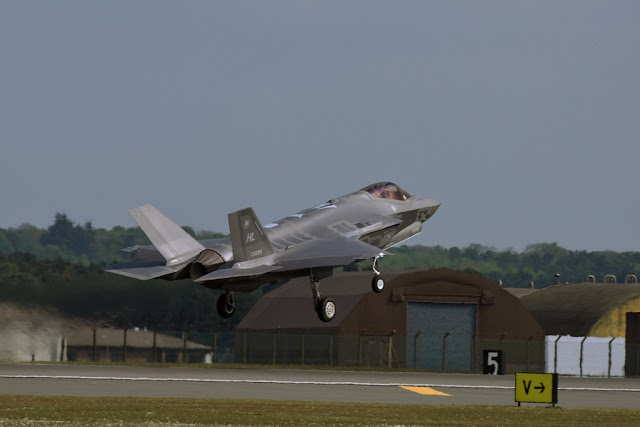 Web rumors segnaled upcoming deployment of stealth 5th generation aircraft to RAF Lakenheath. According to unofficial web rumors F-22 and F-35 fighter jets will arrive once again at RAF Lakenheath in the next few days, probably on Oct. 8. It is an intense period for the USAF 48th FW “Liberty Wing”, currently it hosts F-15s belonging to the 366th Fighter Squadron based at Mountain Home Air Force Base, Idaho. It would be the second JSF deployment to Lakenheath in the current year. F-35As from the 34th Fighter Squadron at Hill Air Force Base, Utah, crossed the Atlantic to conduct air trainings in support of the European Reassurance Initiative in April 2017. It marked the aircraft’s first overseas training deployment to Europe. The last time the Raptors visited UK was about a year ago when four 5th generation, multi-role fighter jets from the 95th Fighter Squadron arrived at RAF Lakenheath, April 2016. The aircraft arrival marked the second time the U.S. European Command has hosted a deployment of F-22 aircraft in the EUCOM Area of Responsibility.